Today’s tea is Pokhara Green Tea from Nepali Tea Traders, a company that by now is becoming a pretty familiar presence here on Books & Tea. This tea is already familiar to me because it’s the base for Jestha Jasmine Green Tea, which I reviewed in May. 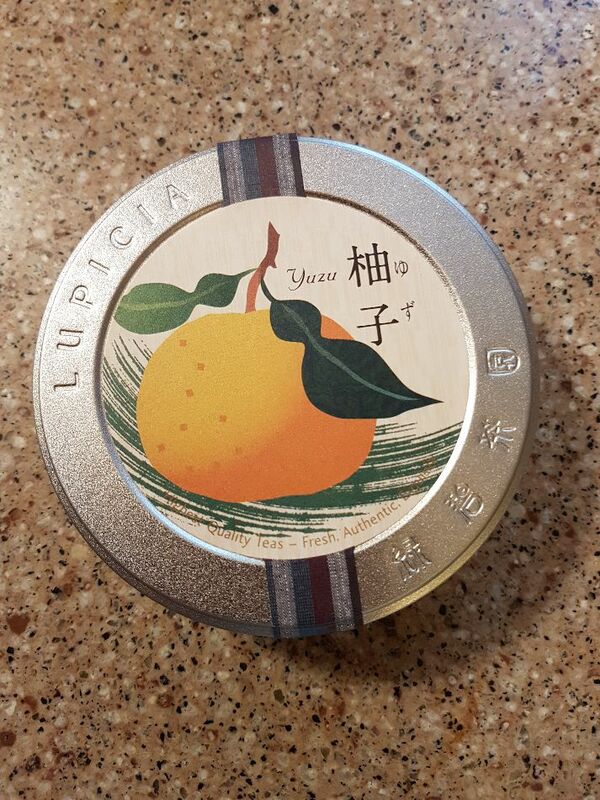 However, unlike that blend, which I purchased, this sample was given to me for free to review. The dry leaf is a rich green, bordering between olive, forest and sage. The leaves are long, whole, curled, and somewhat gnarly. 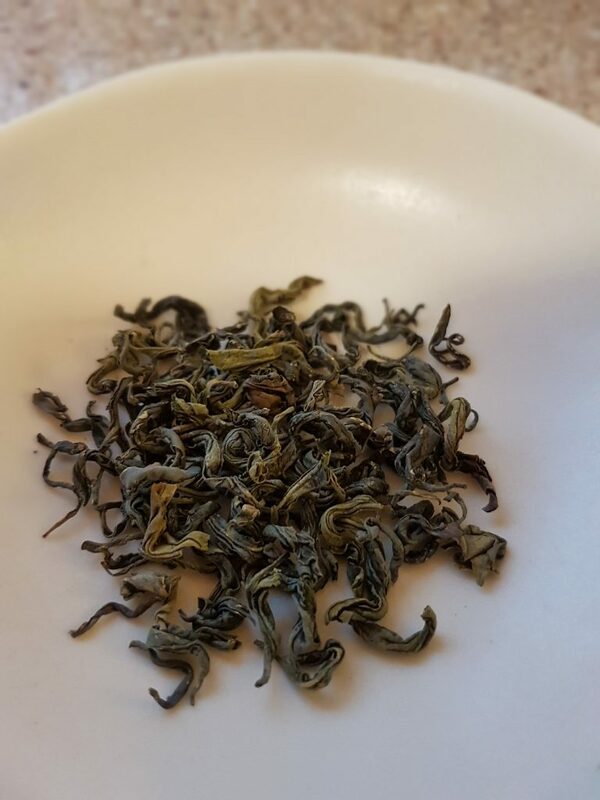 Dry, it smells slightly smoky and vegetal, with a green freshness underneath like tree sap. Since the leaves were large, fluffy, and hard to measure, I steeped 2 teaspoons a big 12-ounce mug for 3 minutes. The resulting brew was a deep greenish yellow, and the leaves turned from olive-sage to bright emerald. Look! It tasted mild and vegetal, with a slight bitterness at the back of my tongue that reminded me of cooked spinach. However, it’s not astringent. 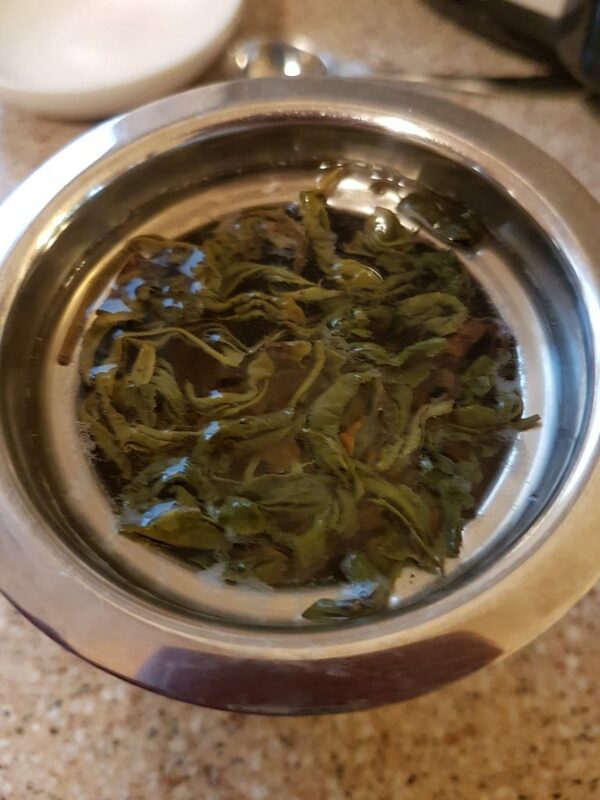 I remember that the Jestha Jasmine tea tasted sweet and powdery, and I wondered how much of that was due to using Pokhara Green Tea as a base. 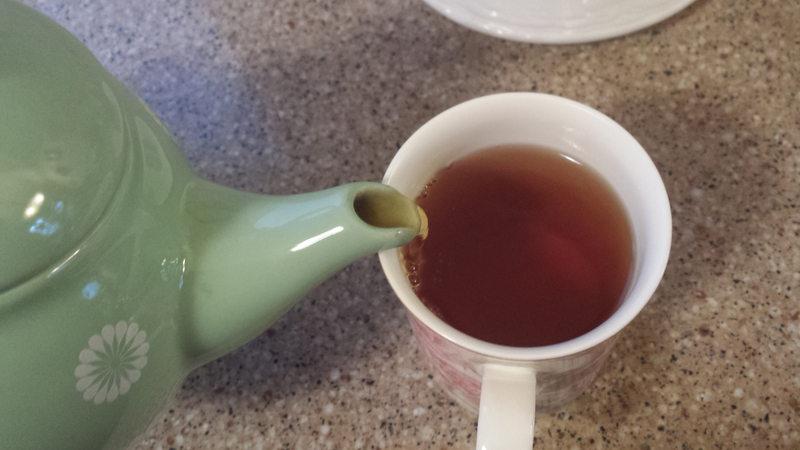 It turns out that the base tea, while gentle and smooth, is not similarly sweet. So I guess the sweetness from the Jestha Jasmine came either from the jasmine buds or from the ginger. 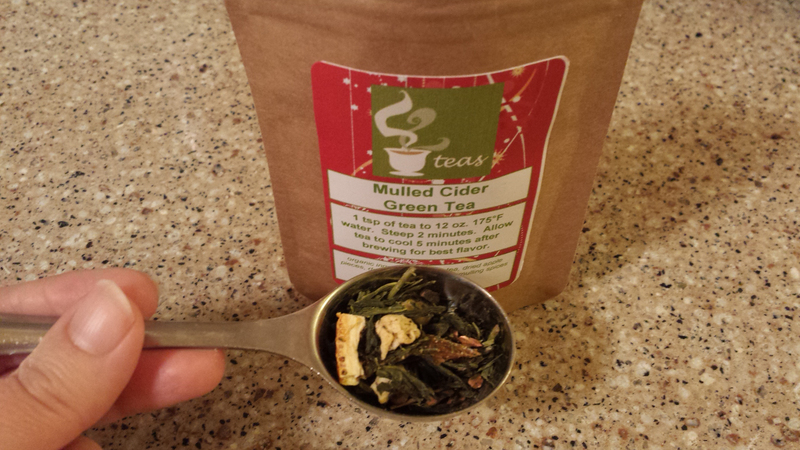 Overall, this is a very smooth, easy tea for sipping. 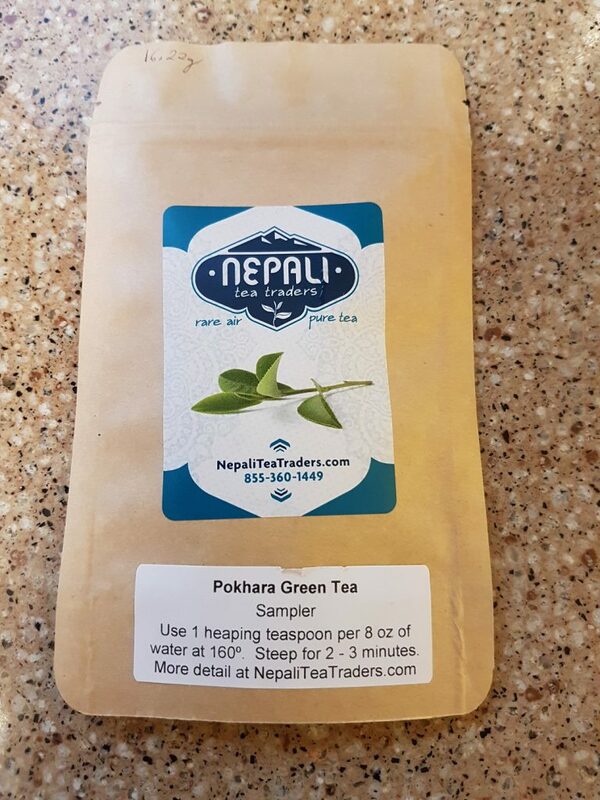 You can buy Pokhara Green Tea from Nepali Tea Traders here. PS: Happy Thanksgiving, American readers! 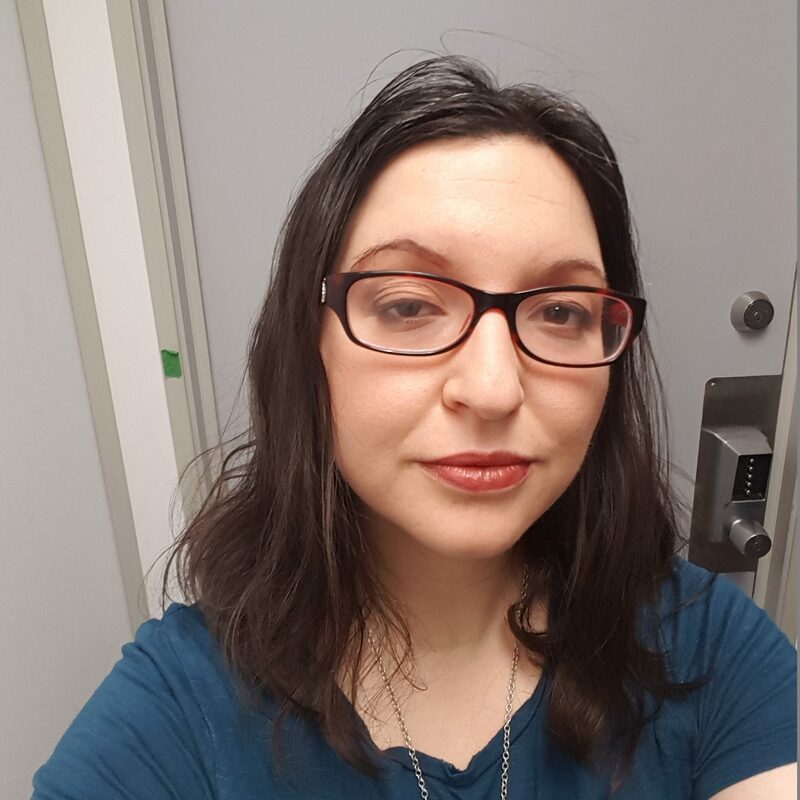 I’m in Canada, which means we had our celebration about 6 weeks ago. I hope you’re having a restful, food-filled day. If you want to see what I’m thankful for, I usually talk about positivity and gratitude every night on Twitter, so feel free to follow me.